Compassites Software achieved yet another milestone by welcoming its 100th employee recently. Starting with just a 5 member team, Compassites has grown over the past few years to reach the current employee strength. Throughout the growth journey at Compassites, the Navigators have played crucial role in making Compassites the company that it is today. 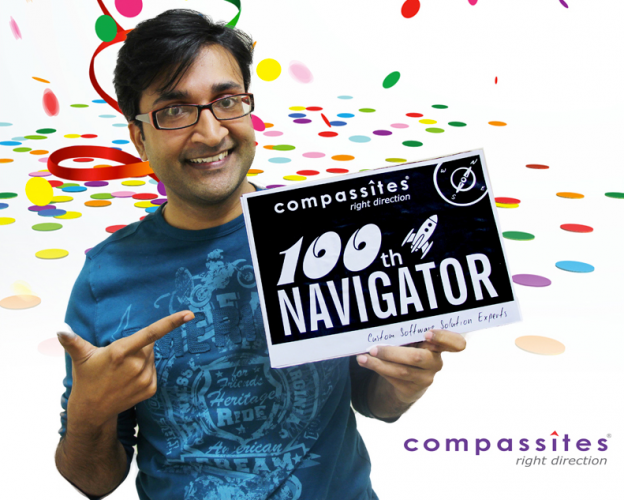 Compassites welcomed its 100thNavigator Bharat Krishna with complete zest. The whole team wishes Bharat a fruitful career at Compassites going forward!